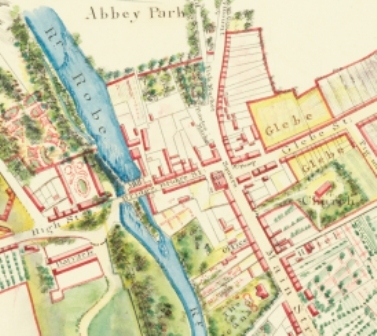 BALLINROBE’S potential as a heritage haven for visitors is wide-open for exploitation and development. That is the view of local historian and community activist, Averil Staunton, who has been instrumental in the championing of a ‘Caretaker’s Agreement’ with Mayo County Council for the future establishment of a visitor’s centre in the historic courthouse in the town centre. This agreement will ultimately lead to a formal lease and the reopening of this atmospheric building which exudes such a strong sense of local history. Like many such buildings throughout the country, this court house was closed by the Court Services in 2009 in an economic drive towards centralisation. Along with the local church’s resplendent gallery of Harry Clarke stained-glass windows, this centre would add to the town’s touristic attractiveness for bus tour operators whose protocol for stopping in towns demands two indoor places of interest for their clientele. And with tour buses trundling past the town en route to Ashford Castle in Cong, Ballintubber Abbey and Westport, the business is there – almost – for the taking. IT was in this building that the notorious Captain Boycott agitators were tried during a two weeks period in 1880. 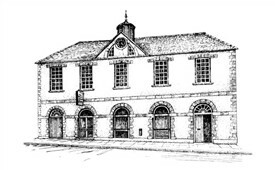 Significantly, according to the late historian, Dr Sheila Mulloy, Ballinrobe courthouse is the only one in the country not to have been changed since 1798, that seismic year of revolution. A Galway native, who has lived in the south Mayo town for several decades and raised her three adult children here, Ms Staunton believes that ‘the heritage and history of the town is marketable’. “I became aware, having lived here for quite a number of years and raised my family here, that there are so many attractive things about Ballinrobe but local people didn’t seem to be aware of their own rich history,” she says. About six years ago she undertook a pilot study for the National Museum of Ireland – Country Life. The idea came from an advertisement which requested communities to provide 100 pictures of their town but Averil Staunton decided to make the project much bigger and created a website. “Before visitors come to a town they investigate it and I felt there was a gap in the market here. The project was very successful and I got emails from all around the world, sometimes from diaspora and sometimes visitors with no previous connection to the town,” says Ms Staunton. “The reason I picked history and heritage is because we already have a very successful racecourse, a fabulous golf course and a wonderful sports area [called The Green],” she continues. THE group is also busy working with Mayo County Council’s Heritage Office, Deirdre Cunningham and its Architectural Conservation Officer, Siobhán Sexton, on a project to improve the signage and information boards highlighting the town’s special heritage. This will enhance and cohere the brand and identity of the urban environment and its many secret treasures, in Staunton’s view. Always innovative and thinking outside-the-box, the foundation stone of this project has already been laid. A couple of years ago, while looking at the many empty shop windows, she decided to undertake a project to ‘give life’ to them by installing information boards about the town’s fascinating history. This page was added by Averil Staunton on 06/11/2015.